(Some mild spoilers) I hate movie previews, mostly because I hate hate hate spoilers. I was scared that the previews of The Force Awakens was going to reveal too much information, just like most other previews, for most other movies. However, I really have to hand it to JJ Abrams – not only did he not reveal much before hand, some of the stuff we though we knew from seeing the previews, turned out to be wrong. Yet, I don’t feel the least bit tricked. Going in, we really had no idea who Poe was. Before seeing the movie, I thought maybe he was being set up as a future romantic foil for Rey, and though still a possibility, it does seem less likely now. Instead, as mentioned in last week’s post, there is a fair amount of fan backing for him and Finn pairing up romantically in future movies. 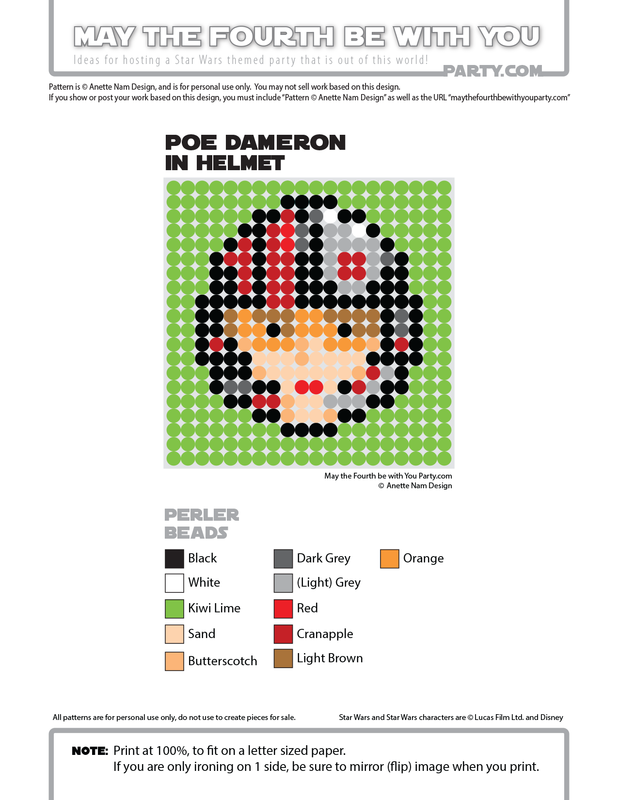 Another question is whether Poe is Force sensitive. He is the best pilot in the rebellion. According to the X-Wing Miniatures Game, Poe is even better than Luke! He has a whopping 31 squadron points, while Luke is only worth 28. So the obvious question is how can he be that good, without using the Force, at least on some level. 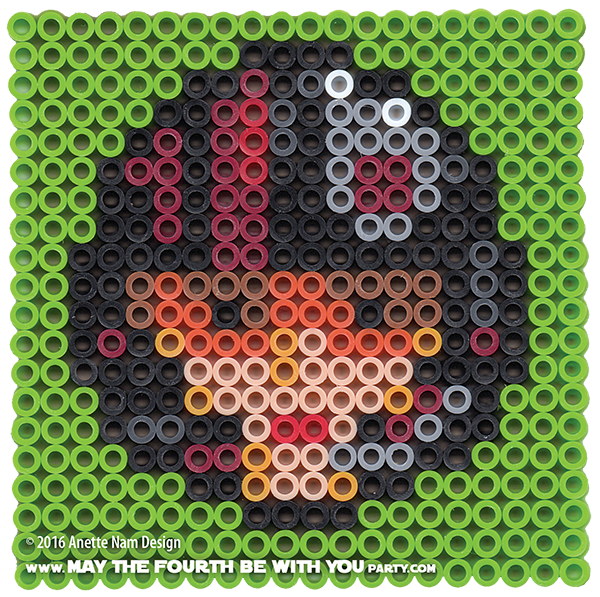 Next week we are posting Poe’s X-Wing, but for now you’ll have to settle with the 10th of our The Force Awakens patterns, and #39 in the Perler bead/cross stitch/Lego/pixel/mosaic series.